A generation ago, people mocked the idea of video gaming being anything but a frivolous hobby. Today, it’s a multi-billion-dollar industry with several ancillary subsectors. In a similar manner, esports, or gaming tournaments fashioned after popular athletic events, have generated their own viable economy. As a result, buying esports stocks is almost a no-brainer. Sometime in the future, maybe esports will lose their prefix, and instead be integrated with their physical counterparts. Even on surface level, this idea isn’t irrational. Consider for instance other events featured on sports channels, such as spelling bees or poker. I’m not discounting the incredible skills and talent involved in these events. However, if non-athletic tournaments receive the “sports” tag, why can’t esports? Indeed, that’s exactly what’s happening. Since 2012, the digital-tournament circuit has experienced a mercurial growth rate. Last year, worldwide esports revenue brought in $655 million, and this year, experts predict $906 million. By the year 2021, the category could deliver $1.65 billion in revenue. As amazing as these forecasts are, they could be understated. The most popular digital tournaments attract over 40 million viewers. Out of the 22 major esports events in that list, only eight attracted less than 10 million viewers. If you don’t believe my assessment, believe the numbers: esports is not only here to stay, but its influence is rising sharply. Here are seven esports stocks to put on your must-watch list. Among esports stocks, Electronic Arts (NASDAQ:EA) is the most obvious choice to select. However, obvious doesn’t necessarily have a negative connotation. On a year-to-date basis, EA is up nearly 25%. That’s inclusive of the fact that since July 25, shares are down by double digits. What makes EA stock so reliably profitable? I argue primarily that it has a stranglehold on lucrative, professional-sports league licenses. Marquee series such as Madden and FIFA are popular not just for their underlying sports: these video games incorporate real teams in real leagues featuring real players. Due to incredible advancements in graphics processing, the immersion effect becomes even more powerful, ultimately translating to consistent revenue streams. Furthermore, the esports tournaments that feature EA games are in some ways more entertaining than the real thing. For example, real football has multiple breaks in the game, including injury timeouts, instant replays, and commercials. I’ve noticed that in many Madden tournaments, the clock is limited to five-minute quarters. That means you bring your best stuff in the quickest time possible. Clearly, this “bang-bang” format resonates with viewers, meaning EA stock likely has more upside remaining. Although EA is the dominant player in sports licensing, they’re not the only ones competing in this sector. Take-Two Interactive (NASDAQ:TTWO) levers multiple sports-related series, including NBA 2K. TTWO is also known for pushing the envelope, which explains their owning the WWE 2K franchise. Being an underdog among esports stocks has arguably benefitted Take-Two in the content arena. One of the common complaints I’ve heard in gamer forums is that EA goes on cruise control thanks to their exclusive licenses. Technically, they can rehash the same game annually, only integrating a modicum of enhancements. To compete against a juggernaut like EA requires creative thinking. Since TTWO isn’t going to win a head-to-head match on financial resources, they’ve elected to concentrate on gameplay. The strategy works. Just recently, the company announced that NBA 2K18 sold more than 10 million units, which is a franchise record. More importantly, the real NBA noted Take-Two’s efforts and the rise of digital-gaming tournaments. 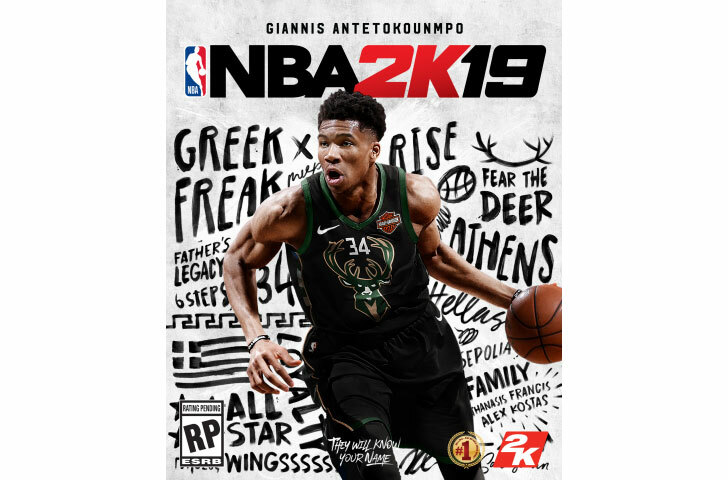 Earlier this year, TTWO and the NBA joined forces for “NBA 2K League.” According to Zacks, the NBA is the first major North American professional sports league operating an esports tournament. When outsiders hear the term esports stocks, they mostly think about companies specializing in sports-related video games. However, the term can be somewhat misleading. Esports doesn’t just refer to a specific game’s content, but rather, the underlying tournament, which can feature multiple genres. Just ask Activision Blizzard (NASDAQ:ATVI). Activision doesn’t have the lucrative sports franchises of its rivals EA and Take-Two. Instead, many analysts would argue that the company has something better: a dominant presence in shooter games. Its Call of Duty series remains one of the most popular gaming franchises ever. Granted, critics and bearish traders counter that the freely downloadable shooter game Fortnite will steal Activision’s thunder. Certainly, the nearer-term isn’t favorable for the vaunted company. However, you can’t ignore the track record of success for ATVI. Their loyal fanbase keep coming back for more, and that keeps the lights on, and then some. Further, the gritty, realistic style of play in Call of Duty is a sharp contrast to Fortnite’s cartoonish graphics. I’m not 100% sure if Fortnite is a long-lasting fad, or a paradigm-shift in consumer behavior. I do know that Call of Duty has garnered extraordinary success across generations. That’s good enough for me to at least take a close look at ATVI stock. 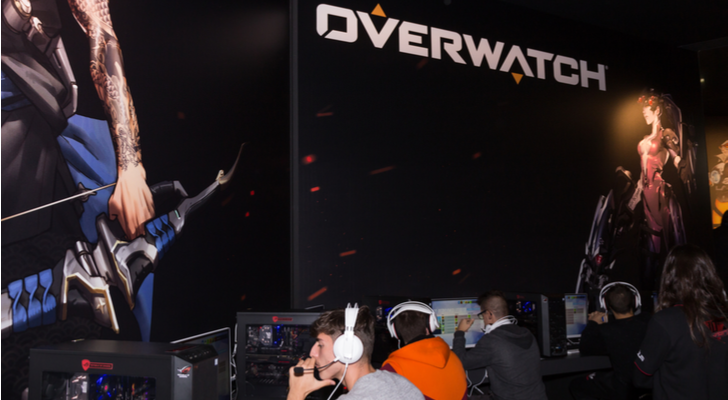 And its other popular games, such as Starcraft II or Overwatch, will help it carve out a niche in several corners of the esports market. You wouldn’t normally associate a company like Disney (NYSE:DIS) with esports stocks. After all, the iconic organization is most famous for its entertainment resorts and its expansive library of media content. Also, recent headlines have focused on Disney’s takeover of Twenty-First Century Fox’s (NASDAQ:FOXA) entertainment assets. 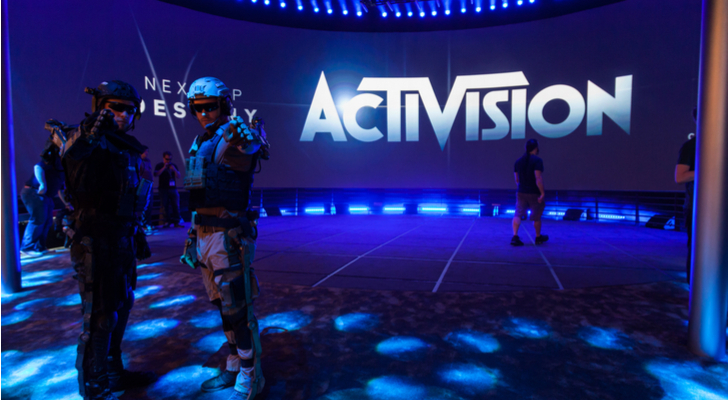 Per CNBC, this was the biggest deal — ever — for Activision Entertainment, but substance-wise, it’s equally important for Disney. It’s no secret that management regrets its ESPN foray, which was a rare misstep for the company. Nevertheless, with esports, DIS can ironically resurrect its flailing sports network. As I mentioned previously, esports have an advantage over their “analog” counterparts in content and pacing. For example, how many baseball games unnecessarily extend into five-hour affairs due to players scratching themselves? With esports broadcasts, you cut out most of that nonsense, delivering a pure, competitive tournament. My former employer Sony (NYSE:SNE) has incurred many ups and downs — usually downs — over the years. However, the one business that Sony could rely upon no matter what happens is their video-gaming division. The PlayStation is simply the go-to platform for the avid gamer. Just look at the numbers. 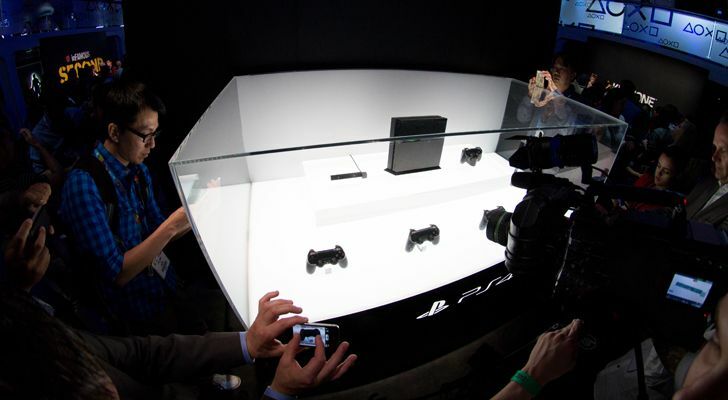 Sony’s PlayStation 4 has sold nearly 64 million units worldwide. As a result, it levers an incredible 62% market share. The company also launched a “Pro” version featuring a 1TB hard drive and upgraded internals to run higher frame rates. But the biggest reason why I like SNE as an esports play is the PlayStation’s particular competence towards racing simulators. Sony has an exclusive license for Gran Turismo, a popular auto-racing simulation franchise. While some folks may scoff at the notion of a video game being labeled a simulator, they only need to look at Jann Mardenborough. Long story short, Mardenborough translated his love for Gran Turismo into an actual motor-racing career. If that’s not a proof of concept for the power of esports, I don’t know what is! While Microsoft’s (NASDAQ:MSFT) Xbox platform might not have the same pull among gamers that the PlayStation enjoys, it’s no slouch. Indeed, the performance metrics between the two latest iterations are barely distinguishable. Plus, the two companies are locked in perpetual conflict with each other. For the industry in general, this competition is a net positive. Gamers can enjoy the latest technologies and innovations that both companies have to offer. Furthermore, they’ll likely add juicy incentives to get gamers to commit to their platform. As gaming and esports stocks, I like both names. However, as a SNE shareholder, I’ll freely admit that Microsoft has much more effective synergies. For instance, video games are increasingly moving into the cloud, where MSFT has significant expertise. Also, ever since its recovery campaign, MSFT stock has been a consistently reliable investment. Although the low-hanging fruit is gone, it plies its trade in very lucrative business sectors. From almost any angle, Microsoft provides positive traction. No matter how great a video-game title is, the machine it runs on must be up to snuff. And with today’s advanced graphics and data-intensive cinematic storylines, consoles and computers must incorporate high-powered graphics processing units. 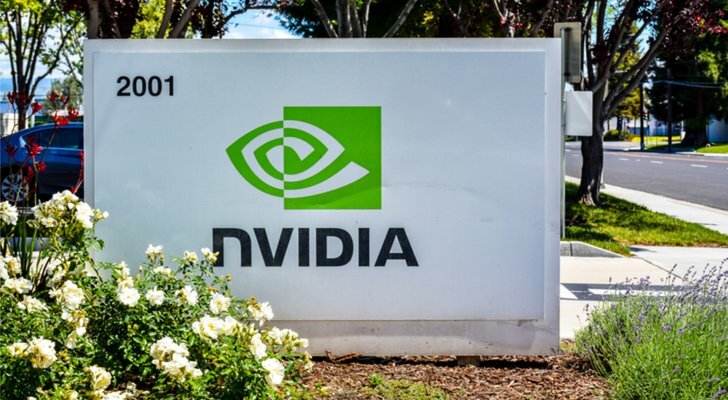 Developing the world’s best GPUs comes second nature to Nvidia (NASDAQ:NVDA). Although rival Advanced Micro Devices (NASDAQ:AMD) may have won the console wars, you’ll notice that true gaming professionals develop their own custom gaming rigs. More often than not, they’re running Nvidia GPUs. You can tell how serious these gamers are by looking at the price tag of top-end Nvidia processors, which easily run into the four-digits. But what I most appreciate about NVDA stock is that it’s not just a gaming play. Their GPUs can be used for multiple purposes, most notably for cryptocurrency mining. In addition, the company has translated their expertise into burgeoning sectors, such as artificial intelligence and automation. Finally, NVDA is a fundamentally sound investment featuring multiple strengths in their financials. As with Microsoft, the low-hanging fruit has been likely plucked. That said, it’s a consistent tech and gaming powerhouse that you can depend upon year-round. Article printed from InvestorPlace Media, https://investorplace.com/2018/08/7-esports-stocks-to-watch-as-gaming-goes-mainstream/.